Fibres can be broken down into two main groups - soluble fibre and insoluble fibre. This describes whether or not they dissolve to some degree in water. Each plant contains varying amounts of both kinds of fibre. Insoluble fibre possesses passive water-attracting properties that help to improve bowel function. Soluble fibre undergoes metabolic processing through fermentation, resulting in significant health-promoting effects. As part of a healthy diet, doctors recommend consuming a minimum of at least 20-35 grams of dietary fibre each day. Most people, however, get less than half that amount in their diet. Because fibre absorbs water, it is vital that you increase your water intake as you increase your fiber consumption. If not, the extra fibre will actually have the opposite effect and begin to clog the intestines, harden the stool and make bowel movements uncomfortable. Both types of fibre perform important functions within the body. Insoluble fibre absorbs water, softens stools and moves materials through the intestines. It also helps to balance the pH (acidity) levels inside the intestines. These actions work to prevent constipation by promoting regular bowel movements and removing toxic wastes from the colon more quickly. Soluble fiber binds with fatty acids and prolongs stomach emptying time so that sugar is released and absorbed more slowly. It helps to lower LDL cholesterol and regulate blood sugar levels. been linked to a lower risk of heart disease. leading cause of death for both men and women. High-fibre foods, such as legumes, whole fruits, oats and bran, are also low on the glycemic index. A diet high in these foods helps lower the risk of type 2 diabetes. Fibre is a key component of a healthy diet. It provides a host of benefits to several body systems. As most of us don’t get enough fibre in our daily foods, supplementation is a great alternative. Nature’s Sunshine offers a variety of supplements (TNT, Fibre Plus, Psyllium Hulls and another) that help ensure that you get the right amount of dietary fiber each day. Natural Body Detoxification | Herbal Body Detox Programme Healthy Starter Pack | Buy UK & Europe. Health Benefits of Aloe Vera Juice | Pure Aloe Vera Gel | Buy Aloe Vera Juice UK & Europe. Colloidal Silver (Natural Antibiotic) - Buy Colloidal Silver UK & Europe | Benefits of Silver Shield. Vitamin B Complex Nutri-Calm | Buy High Strength Vitamins:C,B12,B6,B2,B1, Niacin, Biotin, Pantothenic, Folic Acid UK & EU. Calcium & Magnesium | Buy Calcium+Vitamin D+Magnesium+Zinc+Phosphorus | Buy Calcium Supplements UK & Europe. Glucosamine, Chondroitin & MSM Benefits | EverFlex: Buy Glucosamine+Chondroitin+MSM (Hydrochloride/Sulfate) UK & EU. 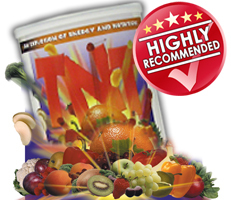 Natural Weight Loss Program: Kick Start Programme | Buy Weight Loss Supplements UK & Europe. Soy Protein | Buy Soya Protein Isolate SynerProTein: Essential Amino Acids+Vitamins+Vegan | Buy Protein UK & Europe. Йога для Начинающих в Домашних Условиях. Please add our website to your Favorites, or Share this interesting information with others!